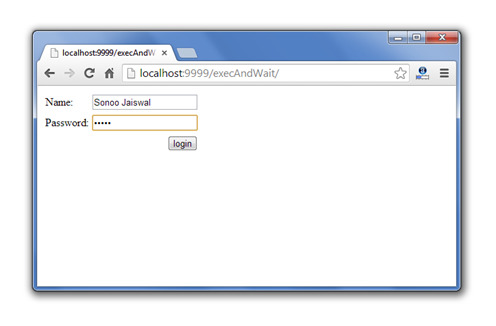 The execAndWait interceptor also known as execute and wait interceptor is used to display the intermediate result. It is recommended to use for long running action. It is not found in the default stack bydefault. So you need to specify it explicitely. 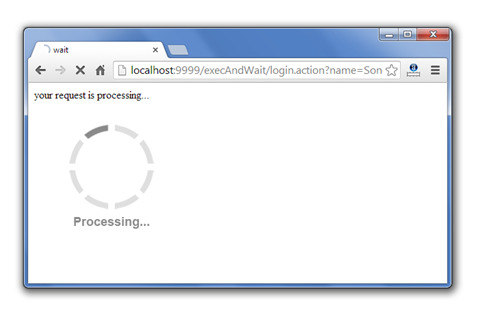 If you don't specify "wait" result, struts framework displays an intermediate result until your request is completed. For the custom intermediate result, you need to define "wait" result in struts.xml file. In your page, you can display processing image etc. So, it is better to specify the custom result. There are 3 parameters defined for execAndWait interceptor. delay specifies the initial delay time. Bydefault, no initial delay is set. delaySleepInterval used only with delay. It specifies the time interval in milliseconds to check that background process is completed. It is set to 100 milliseconds bydefault. threadPriority specifies the priority of the thread. The default is Thread.NORM_PRIORITY. 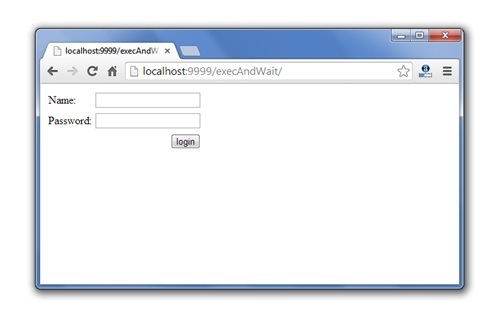 Let's see the simple example of execAndWait interceptor without wait result. In such case, struts framework provides an intermediate result. 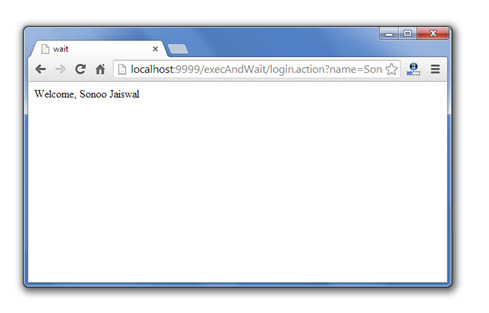 Let's see the simple example of execAndWait interceptor with wait result. In such case, your intermediate page is invoked. Let's write the code for intermediate result. The s:url tag will forward the request to specified url. It will be refreshed at 0.5 seconds.